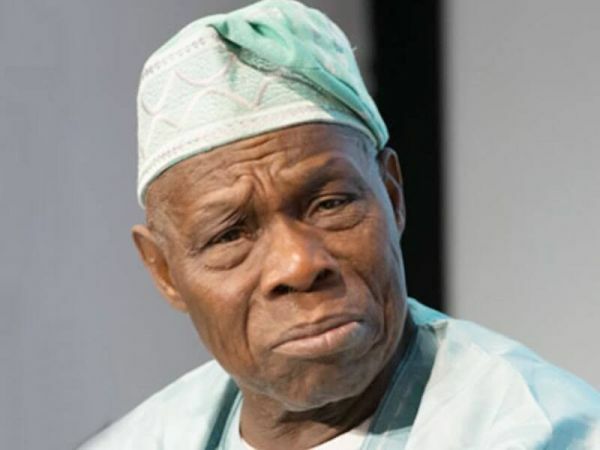 Former President, Olusegun Obasanjo, on Sunday, said he will not sit and watch President Muhammadu Buhari “deceive” him and Nigerians again. He recalled that the President and the All Progressives Congress (APC) portrayed themselves as people of the masses in 2015. The statement titled “Points for concern and action” reads in part: “However, if I allow you to do so the same thing for me the second time, I do not only have myself to blame, I must be regarded as a compound fool. Buhari has succeeded in deceiving us the first time and we will be fools to allow ourselves to be deceived the second time. “Buba Galadima, who knows Buhari very well as a confidant and National Secretary of Congress for Progressive Change, CPC, the Buhari’s party before it joined in forming All Progressives Congress, APC, has warned us this time around that no matter what he promises, he cannot change his character and attitude. “He describes him as inflexible, insincere, dubious, intolerant, never accepts responsibility when things go wrong and impervious to reason and advice for a change. If you cannot change your mind, you cannot change anything is the assertion of George Bernard Shaw. “Even when figures, facts and statistics are made clear to Buhari, he keeps repeating what is untrue, either because he cannot understand or for mischief purposes and that places him on the level of a pathological liar. He believes he can get away with impunity and deceit as he seems to have done on many occasions in the past. “Buba Galadima’s position is well complemented by Dr.Auwalu Anwar on the APC, CPC, TBO and Buhari’s character and attitude in his yet to be launched book, “Politics As Dashed Hopes in Nigeria”. It is also a stunning revelation. Anwar clearly pointed out, “the brazen display of incompetence, insensitivity, and responsiveness by delusional party, CPC, leadership at all levels”. “Buhari was the leader of the party. Bola Tinubu’s statement about MuhammaduBuhari in 2003 is fairly prophetic, “MuhammaduBuhari is an agent of destabilization, ethnic bigot and religious fanatic who, if given the chance, would ensure the disintegration of the country. “His ethnocentrism would jeopardize Nigeria’s national unity.” Junaid Mohammed was eloquent on the issue of nepotism. But if as we were told that Buhari is nepotic because he does not trust others, why should others trust him to continue to put their fate and life in his hand. Trust begets trust.